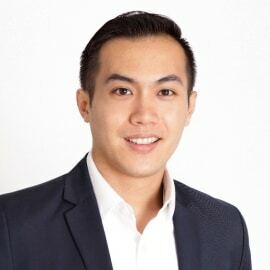 Simon is a Principal at Cathay Innovation, a global venture firm created in affiliation with Cathay Capital, with offices in San Francisco, Paris, and Shanghai. Simon is based in the San Francisco office and invests in both consumer and enterprise technology including SaaS, mobile, and IoT. Prior to Cathay Innovation, Simon was a Manager in the Strategy & Corporate Development team at VMware where he was involved in acquisitions, investments, and strategy. He spent almost four years at VMware covering enterprise sectors such as cloud, infrastructure, mobile, and security. Before VMware, he was an investment banking analyst at UBS, where he advised technology companies on capital raises and M&A strategy. Simon holds both a B.S. in Business Administration from the Haas School of Business, UC Berkeley and a B.A. in Operations Research and Management Science from UC Berkeley.